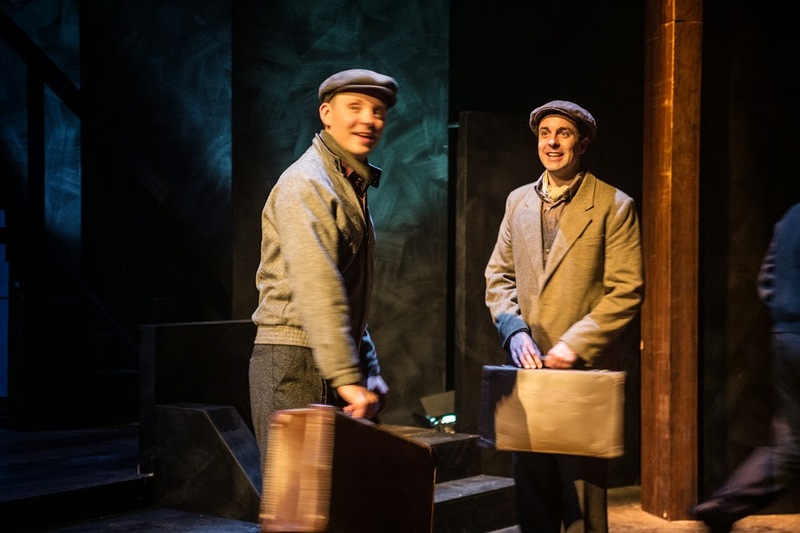 This week on drama on the waterfront, we talk to A View from the Bridge actor Alex Grieg. 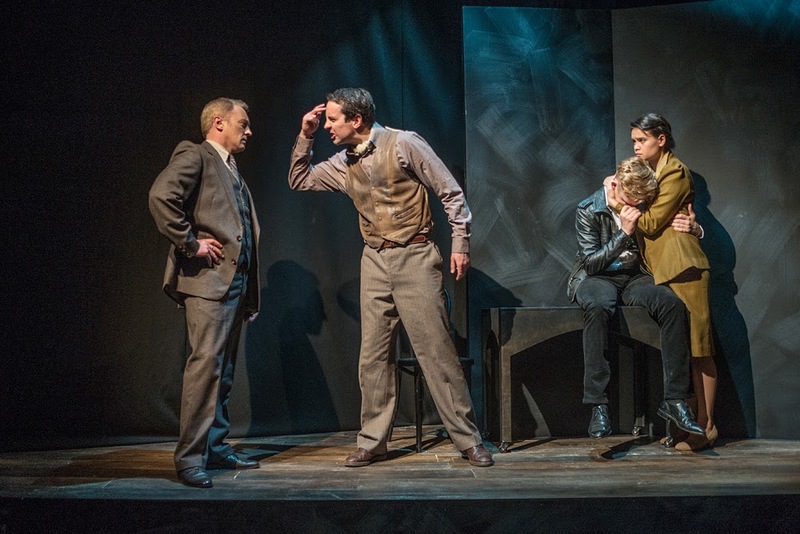 (left to right) Christopher Brougham, Alex Grieg, Paul Waggot, Acushla Sutton in A View from the Bridge. Photo by Stephen A'Court. DOTW: When did you decide that it was to be an actor’s life for you? AG: I guess I've always had a desire to perform, but it was during the latter years of high school that I decided it was definitely the path that I wanted to travel. DOTW: What was the first play that you remember seeing? AG: Oooh Tough one... I think the first one I remember seeing was something like Red Riding Hood at Masterton Amateur Theatrical Society... Although that may be my brain playing tricks on me! DOTW: You are currently playing the role of Marco in A View from The Bridge. That he is a newly arrived Sicilian immigrant in New York in the 1950s must have required quite a lot of research? AG: Yeah, not much I could personally draw from for this role… I spent heaps of time reading snippets from the time online, and watched loads of movies either set or from the period... Oh and also played lots and lots of Total War: Rome II. Alex Grieg in A View from the Bridge. Photo by Stephen A'Court. DOTW: I believe you and the cast had advice from the Italian community here - in particular Massimo Tolve and Antonio DeMartino from Pomodoro Pizza - about how to talk and express yourselves in the way that they do. What were some of the things that came as a surprise to you about that? And how difficult was it to become a character who is so culturally different to a Kiwi? AG: Turning off my Kiwi 'Meh' attitude and 'Hand in pockets' style acting was the hardest to accomplish in this role, I'm used to letting things roll of my back and let it go, but observing and talking with the fantastic guys that came in to talk to us, I soon realised I would have to bring some more flavour to Marco than I was used to! DOTW: Marco has his own agenda – a good guy or not in your books? AG: Marco is the good guy. He is certainly confused by the American way of life and how things are done, but stays true to his sense of honour. 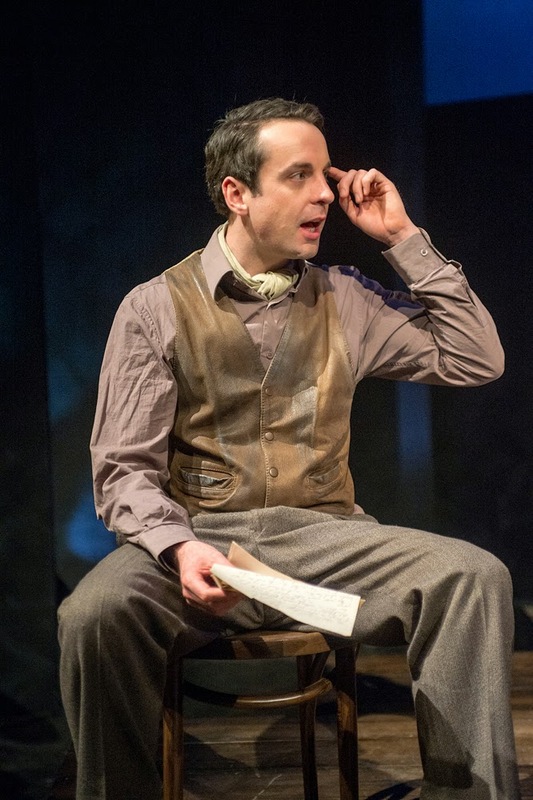 DOTW: And working on an Arthur Miller play – what are some of the highlights about this? AG: For me it is the way that Miller has structured the play... Your job is made a wee bit easier by following exactly what and how he has structured this play. It's very Shakespearian, if you follow the metre and stick to the words as written your job is almost done... He also crafts a wonderful story that is a pleasure to perform every night... More, more I tells ya! 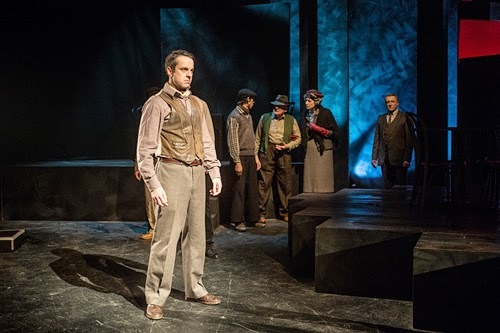 Alex Greig (foreground) and cast in A View from the Bridge. Photo by Stephen A'Court. DOTW: You have played a huge variety of roles. Have you got a favourite and why? AG: I seem to prefer the roles that have a lot of internal (and often external) conflict, and most recently the part that has had the biggest chunk to bite into has been Shakespeare's play Coriolanus performed by The Bacchanals last year. It was a huge part and one that I jumped into eagerly! DOTW: And finally, do you have role that you have a burning desire to play? AG: I've always wanted to play Raoul Duke, or maybe even Timon. Paul Waggott and Alex Greig in A View from the Bridge. Photo by Stephen A'Court. A View from the Bridge runs in Circa One until 23 August. There will be a Fancy Dress 50s Night on 1 August - come to the show dressed in your 50s best for a chance to win fantastic spot prizes! To book, call the Circa Box Office on 801-7992 or visit www.circa.co.nz.